Norway’s bad boy of skiing, Petter Northug, redeemed himself over the weekend after another lengthy spell of misbehaving. 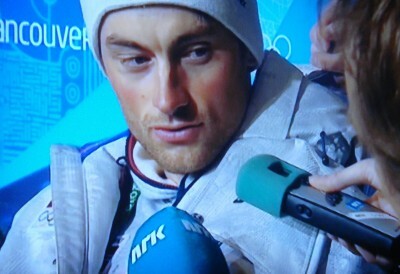 Northug clearly behaves better when he’s winning, as he did on both Saturday and Sunday. Northug himself said the past few days amounted to a “seasonal breakthrough,” because he finally felt like he was back in good shape and proved it with his performance. He won a World Cup event in Val de Fiemme, Italy on Saturday, for the first time since March 21 of last year, and chalked up his two best races in the Tour de Ski, hanging on to second place overall. As a result, Northug smiled, chatted cooperatively with reporters and even tossed his flower bouquet to his mother, who was among the spectators in Italy. Newspaper Aftenposten reported that his entire family was relieved that there finally was some good news around Northug. There have been so many other things to report about Northug since he first got sick when the season opened in November. He’s been sluggish, apparently frustrated with himself, and that led to bad behavior that prompted many spectators, former skiing stars and commentators to suggest Northug was simply a bad sport. He’d ignore questions, came 15 minutes late to an awards presentation, has been fined for various transgressions and even got in trouble for zig-zagging his way in a recent race, making it impossible for his rivals to get around him. He lost lots of bonus seconds for that offense. Norwegian coaches and cross-country skiing staff have been criticized as well, for failing to discipline Northug. The entire team has been under pressure, because of their mediocre performance leading up to the World Championships on home turf at Holmenkollen in Oslo next month. On Sunday they were relieved as well, while Northug said he intended to head home to Norway, take a break before the next World Cup event in Otepää and refrain from serious training until he feels ready.